Nissan Motor Company, the Japanese vehicle manufacturer, is a beloved auto brand by critics and consumers alike. With such a rich history and spectacular vehicle models, it’s easy to see why. Continue reading to find out about Nissan’s history, and how Nissan arrived where they are today. Founding member of Nissan Motor Company (then Kaishinsha Motor Car Works), Yoshisuke Aikawa, moved to the United States in 1910 after graduating from Tokyo University. Concealing his education, Aikawa worked at a casting factory where he learned American casting techniques. Eventually returning to Tokyo with his newfound knowledge, Aikawa and Kaishninsha Motor Car Works built their first vehicle in 1911 as Japan’s first automobile manufacturer. Kaishinsha Motor Car Works quickly became massively successful in the Japanese market. By 1930, DATSUN (an amalgamation of owner names and “SUN”, meaning “son of DAT”) was developed as a subsidiary of Kaishinsha, and in 1934 the corporation name was named Nissan, as Aikawa’s holding company, Nihon Sangyo Co. (Nih-San), bought 100% of the company’s shares. 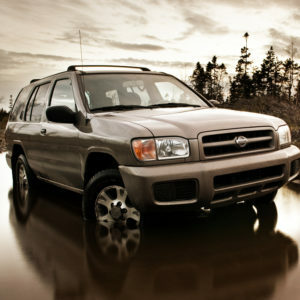 Today, Nissan is well-regarded in Canada for producing reliable vehicles at a fair price. The model line has expanded to include a range of vehicles for any customer. Car models include the ultra-efficient Nissan Versa, family-friendly Nissan Maxima sedan, sporty Nissan 370Z, and supercar Nissan GT-R. To compete in the West, Nissan offers trucks ranging from the affordable NIssan Murano SUV to the massive Nissan Titan XD. Nissan has also produced several vehicle models that define the brand, as highlighted below. Harking to the Datsun brand, Nissan’s Z-series is an iconic testimate to style and performance at an accessible price. In 1969, the Datsun 240Z was introduced to the US market, and saw immediate commercial success. 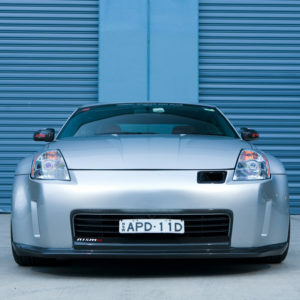 Since then, Nissan has seen five more successful generations of the Z series, leading to the Nissan 370Z of 2019. In 1987, competition for small SUVs was heating up in the Western market. The brand introduced the Nissan Pathfinder to compete with the Ford Bronco and Toyota 4Runner, and successfully carved out a Nissan-sized space in the SUV market. Now in its fourth generation, the Nissan Pathfinder is a light, economical, and family-friendly SUV loved by families who want something fun and capable, but with as much room as a minivan. Every brand needs a supercar to showcase their engineering capabilities without limitations, and Nissan’s is the GT-R. The Grand Turismo Racer (GT-R) began production in 1969 as a rather unremarkable prototype. Poor design, awkward 70’s American-ese marketing and an international fuel crisis doomed the GT-R’s first and second generation. When the Skyline GT-R was introduced in 1989, everything changed. An engineering arms race created a 600hp AWD racecar, completely reviving the GT-R’s credibility. Today, the GT-R is an bonafide supercar beloved by enthusiasts for its history, design, and unworldly power. If the Nissan brand speaks to you, take a look through Go Auto Outlet’s Nissan inventory to find a model that’s great for you. Or, visit us in person at any of our Leduc, Red Deer, and Edmonton locations.